In view of the many food allergies and intolerances in evidence today, the health food market has responded with innovation. It today offers products that are free of gluten, lactose, peanut, nut, egg, seafood, etc. Similarly, the dietary supplement market grew by 5.8% in 2017 compared with the previous year, generating overall sales of €1.8 billion (source: Synadiet). 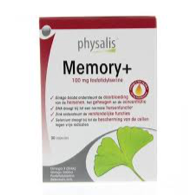 Aimed at improving sleep, digestion, relieving joints or alleviating stress, these provide a concentrated source of nutrients or other substances producing a nutritional or physiological effect. The Belgian firm Keypharm Laboratories produces dietary supplements to fight fatigue, common colds, insomnia, stress, etc. It also manufactures functional food and essential oils. Peru Naturals Corporation, with its Yacon powder-based chocolate, ideal for diabetics. The laboratory Algas Marinas sac sells oils, flour and several dietary supplements to treat high cholesterol, the liver, etc. 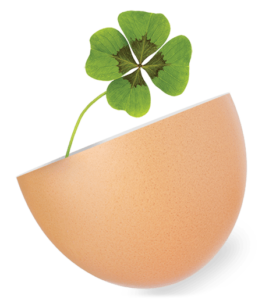 Among the new French exhibitors, the dietary supplement supplier Energetica Natura is active on the Belgian, French and Dutch markets through 7 specialist brands. A plant specialist going back three generations, the company Vallée is headed today by Claudine Vallée, the granddaughter of the founder. It has specialised in services to professionals and bespoke production. With its commitment to bee protection stretching back to 2008, Naturland also cares about the future of its suppliers, since its dietary supplements bear Fair Trade certification. The leading producer of ginseng in France, France Ginseng makes its “Jardins d’Occitanie” range from 100% French-grown ginseng, cultivated in an innovative solar-powered greenhouse. 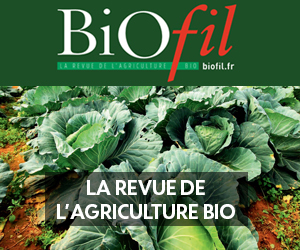 Madia Bio, also a new exhibitor in 2018, has adapted its superfood range to involve a “kids” range. The soft jelly bears offer a range of different benefits: a good night’s sleep, biodigest, growth, throat care and natural defences. The show’s long-standing exhibitors include several leading names in health food and dietary supplements. The dietary food supplement specialist Super Diet recently focussed on formulating an organic-certified capsule shell, made from fish skin. This product contributes to reducing waste by using by-products from fishing. Laboratoire La Mandorle makes gluten-free and lactose-free products for slimmers and sportspeople. It also makes baby food and is behind the first-ever range of plant-based organic baby food, Bébé Mandorle. La Source whose product Allergopolis received a Natexpo Award develops several dietary supplements to relieve joints, improve digestion, etc. 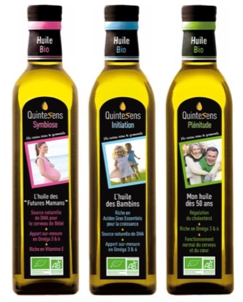 Quintesens makes health and organic vinaigrettes and oils suited to the nutritional needs of several audiences: mothers-to-be, children, fitness enthusiasts and the elderly. 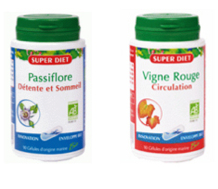 Finally, Thera Sana develops and markets dietary supplement brands such as “Herba Viva” and “Les Fleurs de Bach” and health foods brands such as “Dardenne” and “Pléniday“. ← 2018: a year for new products, a year of celebration!